Three days before she began at Mesa Community College, everything changed. On August 14, 2014, the would-be college freshman Dakota Navarro got into a serious car accident that altered the next part of her life. With her mother out of work and her sister’s medical bills, Dakota’s sister Francesca created a fundraiser called Flower Bands for Dakota as a way to help support her family. 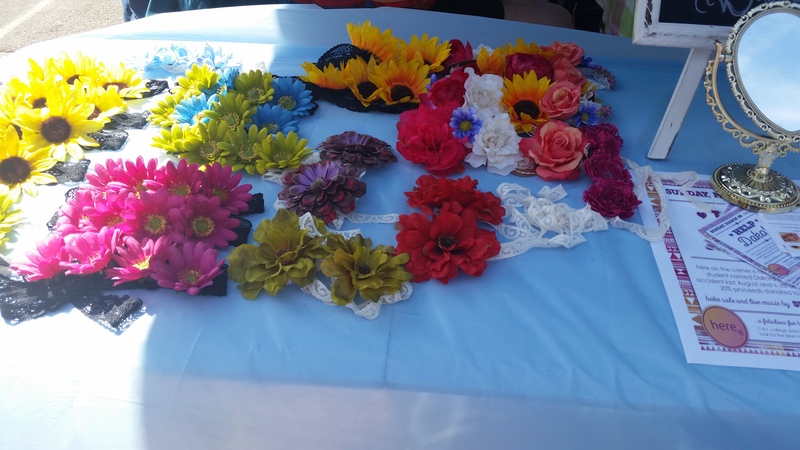 Since the accident in August, Navarro has continued to make and sell the flower headbands at local stores and events. “I really just don’t like sitting back and hoping for the best, I definitely like to do something,” Navarro said. “As long as they are taken care of in some way and I’m doing that as much as possible, that always gives me a lot of security in how I feel about myself,” Navarro explained. Francesca, who is a sophomore communication major at ASU, said her motivation to continue making the bands is stronger because she is helping her sister. “I’ve always been kind of entrepreneurial, I used to make hair bows and before the accident happened I wanted to start making flower headbands because I thought they were cute,” Navarro said. After receiving help from her family to buy supplies, Navarro started with the goal to sell 100 flower bands; she has since exceeded that goal. Part of her success has come from reaching out to local clothing boutiques, such as Here on the Corner, to partner to sell the headbands and host fundraisers and bake sales where a percentage of the proceeds will go to support Dakota. 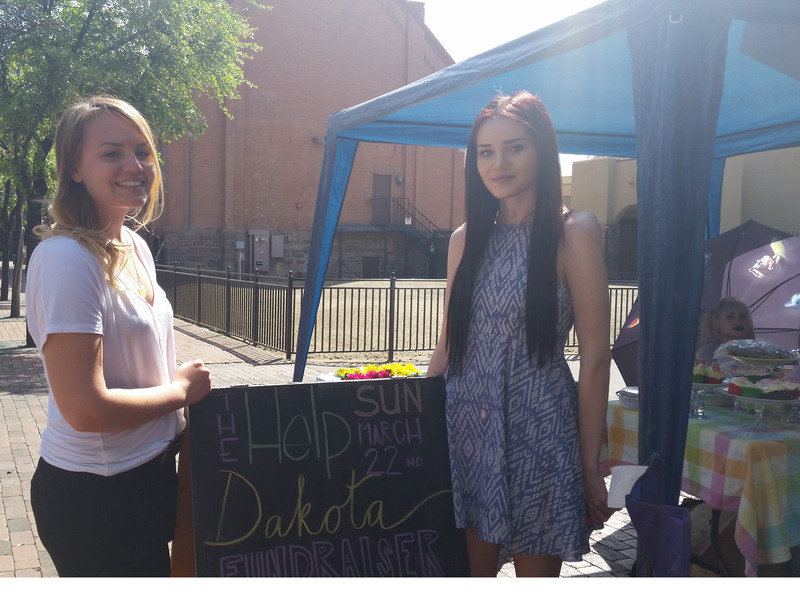 Francesca (left) and her sister Dakota (right) Navarro at the fundraiser and bake sale held at Here on the Corner boutique in Tempe on Sunday March 22. 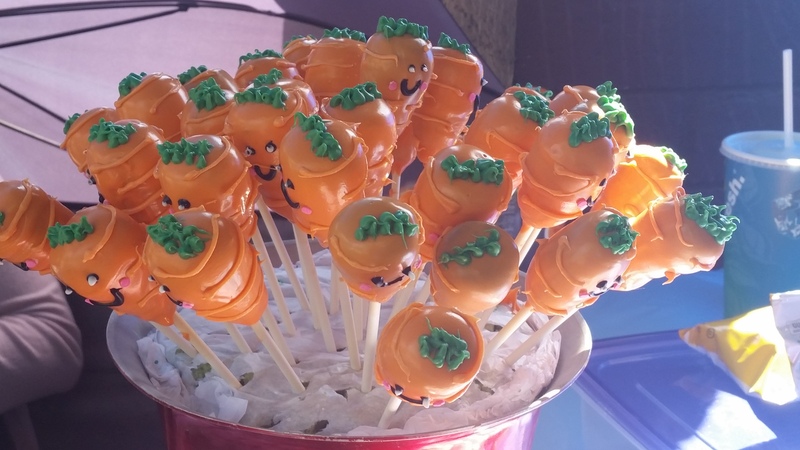 The bake sale and flower bands raised almost $400 and $170 was raised from the 20% proceeds from the merchandise bought. Here on the Corner owner Julie Kent said she loves being able to do fundraisers to support something she believes in. She also thinks there is a mutual benefit for the store and the cause. 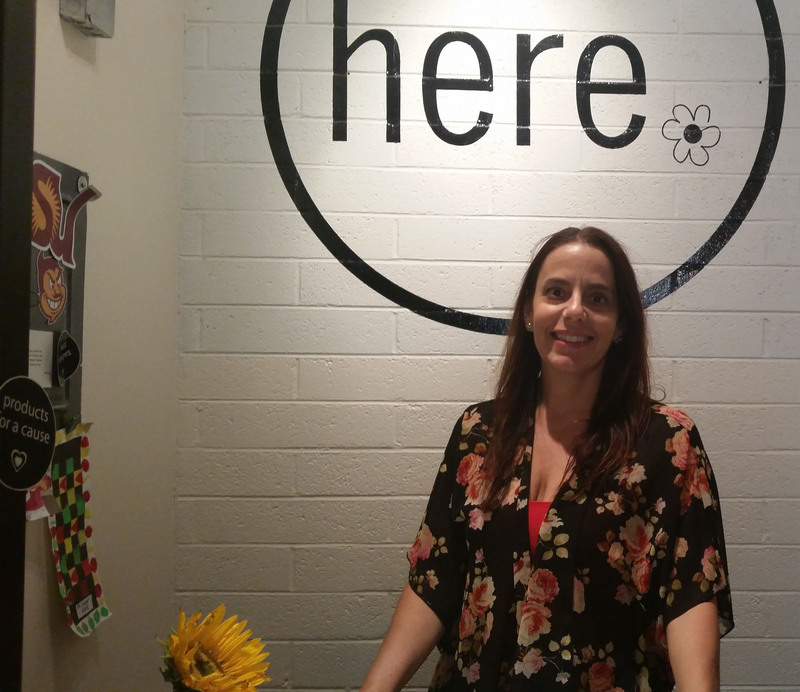 Julie Kent has owned Here on the Corner boutique on College Avenue in Tempe for four years this May. She said one of her favorite things about her business is being able to give her staff more than just a job while they’re in college. “They’re more than just sales people,” she said. “They have a lot of responsibility and I try to hire people and figure out what their talents are so it works for both of us,” Kent said. The boutique features local designers based in Arizona such as StateFortyEight and Woman’s Touch Apparel who were emerging designers in Phoenix Fashion Week in October 2014. In her role as store owner, Kent said she loves giving local designers a chance to sell their merchandise, “I like knowing who I’m giving my money to,” Kent said. “Our mission is local fashion, global passion, so products that give back to the community or the environment are important to us,” Kent explained. The store also sells brands such as TOMS, and jewelry brands Pura Vida and Sophia Jane. 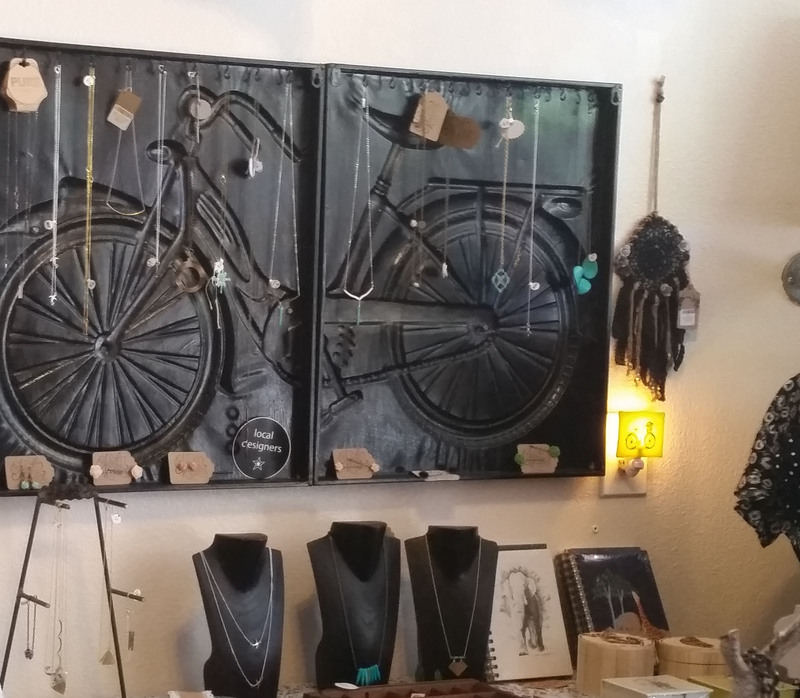 The store décor ties into the mission, which is personalized with handwritten chalkboards describing the merchandise and unique pieces that display some of the items, such as the jewelry holder below. “We’re locally owned and small, we’re different, we don’t want to look like a Target or Old Navy,” Kent said. The outside appearance also makes Here on the Corner different from other boutiques. On the side of the building, there are bikes decorated with the logos of different local organizations. These bikes personify the Tempe culture since it is on College Avenue, a mere walk away from the ASU Tempe campus. 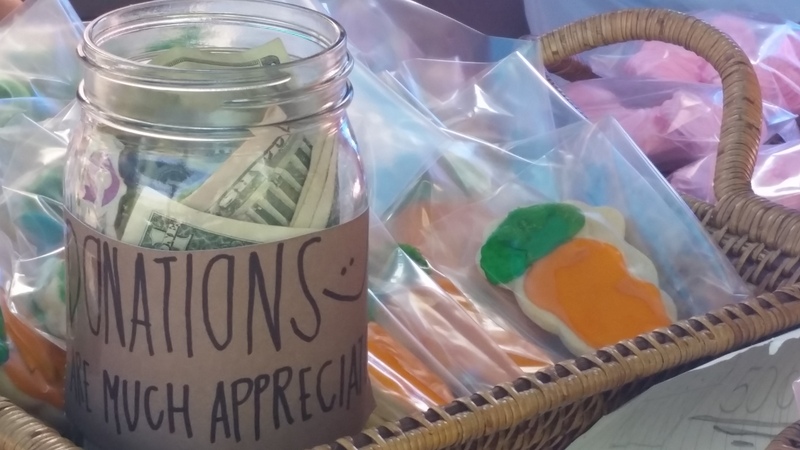 Navarro partnered with Here on the Corner to host a fundraiser, but another part of her success came from making a Facebook page called Flower Bands for Dakota, where people could place custom orders for the $10 bands. “The process has been possible because of all the awesome families that have been donating to help us get supplies to make them,” Navarro said. The ASU sophomore said she is going to keep making the bands until she and her family feel financially comfortable, but she might continue to make them for fun. Navarro said Dakota is recovering and hopefully going to start school in six months to a year. Flowerbands for Dakota was a great idea from the start and Francesca is looked at by a lot of people as the best sister in the world,no offense to my sister Dakota and Francesca mom Suzette who has raised two awesome,beautiful girls good job Suzette good job Francesca and most of all good job Dakota for being so strong and having a positive outlook on what she needs to do to get better,I love you all.